At Pinelli Estate, our winemakers use techniques that have been developed over many years to produce Swan Valley wines of intense character, balance and finesse that reflect the Swan Valley environment and climate. Our vineyards were planted in the 1970s with the intention of producing quality wines for future generations. The resulting wines are truly based on the belief that great Swan Valley wines can only be produced by growing the most flavoursome grapes possible. And now at Pinelli Estate, we bring that flavour from the vine to the bottle. Our father Domenic always taught us that great wines start in the vineyard so the journey into the bottle starts with often decades old vines that are tended to with great skill and care learnt over the many years of family grapegrowing. We then, close to harvest, taste and sample the grapes so we can harvest our grapes at the optimum level of maturity to ensure maximum flavour. Only the finest parcels of Swan Valley grapes are used to produce our premium range of Swan Valley Wines. These grapes are then carefully handcrafted into the finest premium wines possible through the understanding and patience of nature. Our range of wines is reflective of our family’s commitment to producing the highest quality of wines every year. Because of this, our range has been refined and improved over our many years of operation and includes Sparkling, White, Rosé, Red, Sweet and Fortified Wines. At Pinelli Estate, wines are our passion. There’s nothing quite like popping the cork on a bottle of sparkling and hearing the bubbles fizz away. The Pinelli Sparkling wines are suitable for any occasion and bring an air of celebration to any table. 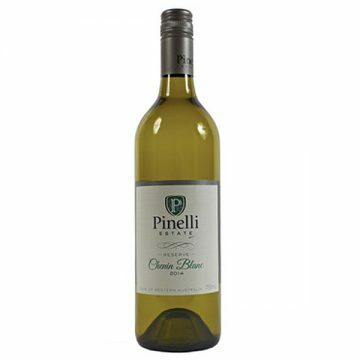 The Pinelli range of white wines offer something for everyone and every occasion. From a crisp Vermentino to a dry but fruity Semillon Sauvignon Blanc. Browse our selection of white wines including the award winners. There’s something very attractive about serving a chilled glass of rose-tinted wine on a sunny afternoon. At Pinelli Estate, we have a bit of a love affair with Rosé, not only is it a delicious addition to any summer barbecue or lazy afternoon, it is suitable with almost any meal. Our award winning Breanna Rosé is a great place to start if you’re looking to try a rosé. The very best red wines need to be both flavoursome and drinkable. Whether you are on the lookout for something to add to your cellar or a wine to drink with dinner, our range of fruit-driven wines, with added complexity from barrel aging, will suit every palate and occasion. Browse our range of award winning red wines or come to our Cellar Door to try them in person. Sweet wines provide a light, flavoursome and aromatic addition to the table. They add a bit of fun to an afternoon with family and friends or enjoyed with dessert after a delightful dinner. 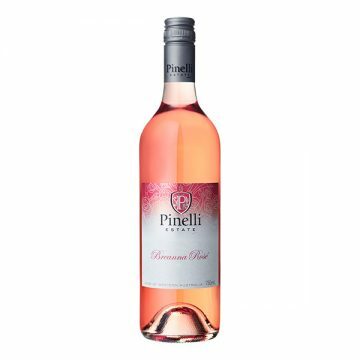 Stop by our Cellar Door to try the Pinelli Estate range of sweet wines, and maybe pick up a bottle or two to take home for later. The Pinelli Estate Fortified Wines are luscious, richly flavoured and aged in barrels for many years to add character. There are many styles of fortified wines to choose from, whether you want to sip and savour after dinner or enjoy with friends and family over a cheese platter or dessert. Browse our range of fortified wines or visit our Cellar Door to see which type tickles your taste buds. The Dominco’s range of wines is close to our hearts at Pinelli Estate. A 2 litre range of wines, the Domenico’s range is a well-priced quality table wine that can be enjoyed with any meal. From red to white, sweet to fortified, a Domenico’s wine brings that little piece of Italy to your table. For nearly four decades the philosophy for winemaking at Pinelli Estate has not changed. Great wines, like great food, start with great ingredients that are then handcrafted to produce the finest quality result. “I’ve always been passionate about red winemaking with the added complexities of tannin structure , barrel selection and maturation. Waiting for over a year for the finished wine to be ready for sale is a slow process but the excitement of tasting the finished wine is always worth it. Wine shows provide an opportunity for our wines to be judged against those of our peers by industry recognised experts. These wines represent some of the most successful wines in the current portfolio at Pinelli Estate. Visit our Cellar Door for a tasting or purchase them online and have them delivered to your door. 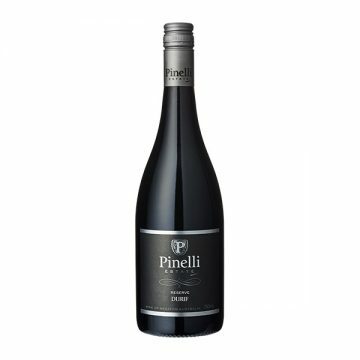 Pinelli Estate wines have been reviewed by wine critics, food writers, wine magazines and a range of food and wine industry bloggers. We are always excited to see what both the expert and the slightly less expert, but no less enthusiastic, wine afficionados are saying about our wines. Pinelli Estate produces a wide variety of wines ranging from award winning premium wines designed to complement the finest food, to our very popular and well priced everyday drinking varieties in our Domenico’s range of 2 litre House Wines. We believe that everyone should be able to have access to quality wines that can be enjoyed for a range of occasions from the special to the everyday. All of the Pinelli Estate wines, no matter the price, are handcrafted with experience and care for you to enjoy with family and friends.